Every other January, Oregon Housing and Community Services release statewide data on Oregon’s homeless population that are unsheltered, and living in emergency shelters or transitional housing. 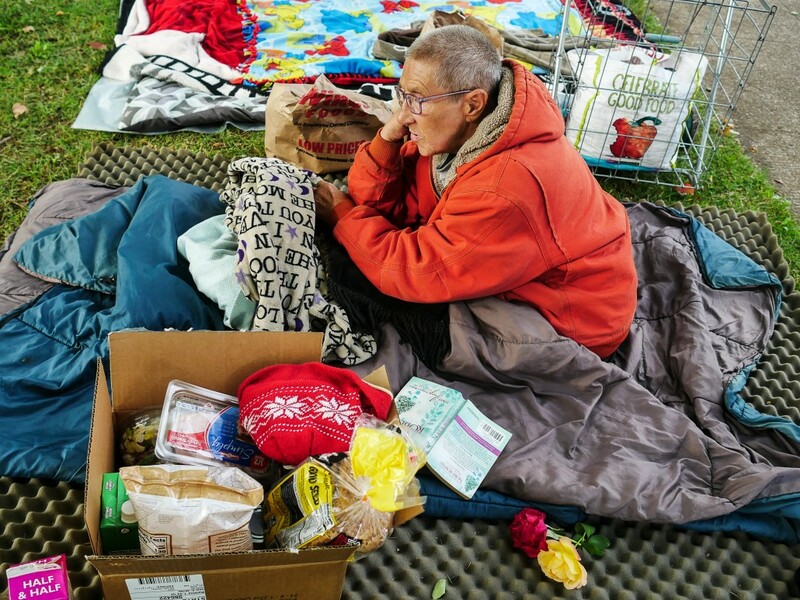 This is part of a national effort to provide a snapshot of homelessness in the United States, and involves the participation of staff from homeless assistance agencies, county and city employees, as well as hundreds of volunteers. These estimates are likely undercounts for many possible reasons: the transient nature of homelessness means that many of these individuals are harder to count; the fact that the survey takes places in winter during a time when many try to find somewhere inside to sleep could mean that many are not counted; and some may refuse or are unable to answer questions in the survey. ○ Of whom, 88% were living in a shelter, and 12% were not. ● 37% of these individuals were female, 62% were male, and 1% identified as transgender. ● 69% of individuals experiencing homelessness were white, 14% were African American, 5% were Native Indian or Alaskan, and 9% were of multiple races. ● Just 0.4% of these individuals were unaccompanied youth under 18 years old. ○ Of this population, 57% were unsheltered, and 43% were sheltered. ○ Of whom, 86% were male, and 12% were female. In Multnomah County, homelessness has increased 10% since the last count, growing from 3,801 in 2015 to 4,177 in 2017. But despite this overall increase in homelessness, the data suggests that a growing proportion of these individuals are staying in shelters, instead of on the streets. In 2015, the amount of sheltered and unsheltered individuals was almost even (1,914 were sheltered and 1,887 were not). But in 2017, the amount of individuals in shelters increased 31% to 2,509, and the amount of individuals who were not decreased to 1,668. The report states that “[t]he decline in the count of unsheltered individuals, despite ongoing challenges such as rapidly increasing housing costs and stagnant incomes for low-income households, likely reflects our community’s significant expansion of prevention, housing placement, and emergency shelter capacity.” The report goes on to describe how these findings parallel those of other U.S cities with similar housing trends, and social service disparities. Although there is an overall sense of optimism surrounding the homelessness situation in Portland, there is still so much we can do to help those still facing hardships. JOIN will continue to be a living and evolving organization committed to preserving the dignity, humanity, and uniqueness of each person that we work with on their path back to housing stability. In 2016 alone, we helped 895 individuals transition from homelessness to permanent housing, which includes 160 families caring for 303 children. Of these individuals, 75% retained their housing for at least 12 months. Help make an impact in the lives of those experiencing homelessness in Portland, and donate to JOIN today.